Publications, which appear under the brand E@I – our offline projects. Note: The publications first appeared as side projects, which were often initiated at the request of the users of E@I’s online projects (for example, the lernu! CD and the Komputeko book). Most publications, like the online projects, are a result of online collaboration of an international team. However, the publications branch of E@I is becoming more and more popular, and will continue to grow in the future. toki pona en 76 lecionoj (“Toki Pona in 76 Lessons”) is a textbook of the minimalist language Toki Pona. 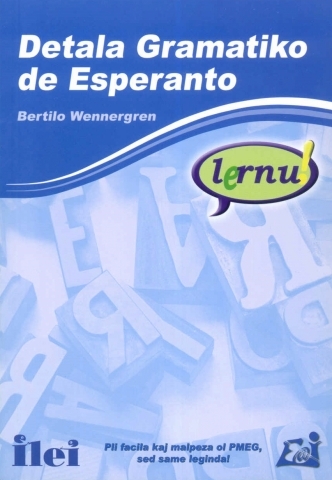 In 2004, Eliazar Parra Cárdenas wrote a textbook in Spanish and 9 years later, Marek Blahuš translated it to Esperanto and the organization E@I had it published by the publisher Espero. This beautiful, colorful, richly illustrated book is the first paper Toki Pona textbook in the world! 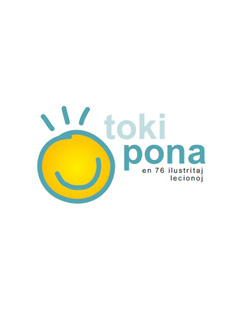 It was first sold during the Esperanto Summer Course 2013 in Martin, Slovakia, where it created many Toki Pona enthusiasts from several countries. 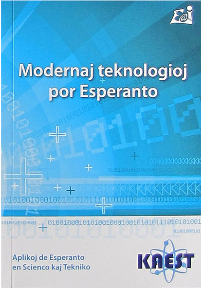 “Modern education methods and technologies” was the theme of KAEST 2012, the Conference on the Application of Esperanto in Science and Technology, organized by E@I in Modra (Slovakia), from the 15th to the 18th of November, 2012. The eponymous collection of lectures contains 30 full texts by 22 people in 239 pages. There are articles about the main theme written by several prominent Esperantists and educators such as Katalin Kováts, Zsófia Kóródy, Stefan McGill, Stano Marček, Zlatko Tišljar, László Szilvási. Summaries are available in three languages (Esperanto, Slovak and English) and every lecturer is presented with a picture and a short biography. “Modern technologies for Esperanto” was the topic of KAEST 2010 – the Conference about Applications of Esperanto in Science and Technic” organized by E@I in Modra (Slovakia) between 18th and 21st of november, 2010. The lecture collection of the same name contains over all 33 full texts by 27 persons, on 323 pages. Resumes are available in three languages (Esperanto, Slovak and English), and each lecturer is prezented along with a photo and short biography. Also in the collection is a history of the events SAEST/AEST/KAEST (happening since 1978) with full biography. The book “Detailed lernu! grammar” – a new work by the author of the PMEG – Bertilo Wennergren. This book is essentially a shortened version of the PMEG using some different grammatical terminology. The Detailed Grammar of Esperanto is the perfect place to find a good and deep overview of the language. Format: A5, 220 pages. 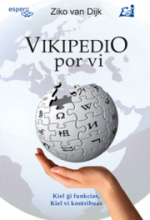 Book “Vikipedio por vi” [“Wikipedia for you”] – Ziko van Dijk, a historian and Wikipedist well-known both inside and outside the world of Esperanto, authored a 60-page document in A5 format, which was published in a run of 1000 copies. His work is a detailed explanation of the Wikipedia phenomenon with many suggestions. It guides the reader, step by step, with information on how the reader can easily become not only a user of the online encyclopedia, but also an active contributor. Book “Komputeko” – a second popular work by Yves Nevelsteen. The book contains more than 7500 computing terms in English and Esperanto, in alphabetical order. 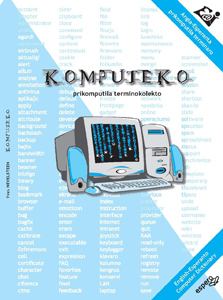 The paper edition is the result of the online project www.komputeko.net – which aims to supply computing terminology in many languanges. 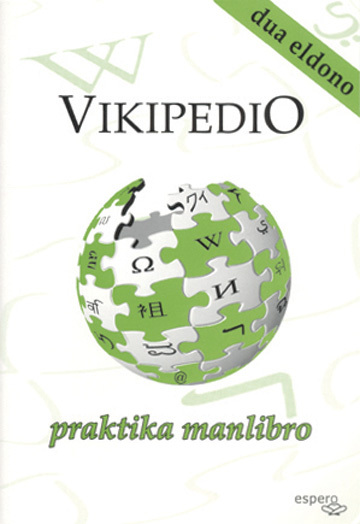 Book “Vikipedio – praktika manlibro” [“Wikipedia – a practical handbook”] – author: Yves Nevelsteen (E@I board member). The book is a useful handbok for anyone who is interested in the online free encyclopedia Wikipedia. It is a full-color, A6-format, 40-page pocket guide. 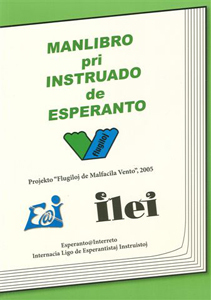 Book “Manlibro pri instruado de Esperanto” [“Handbook for teaching Esperanto”] – a book published in conjunction with ILEI, under the editorial guidance of Katalin Kovats. Thirteen authors contributed to it. Three editions have been printed so far, the fourth edition is being prepared. The book is a result of the project “Flugiloj de Malfacila Vento” (Wings of a Difficult Wind) and is used in the project’s seminars as a textbook. 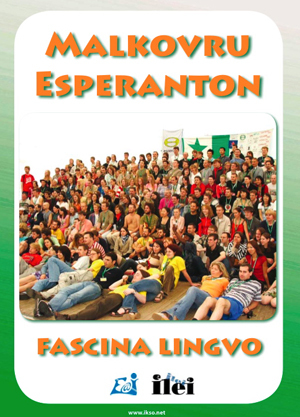 “Discover Esperanto” – a modern, multilingual brochure about Esperanto. It contains information about the history of the language, its current use, important organizations, events taking place, etc. B5 format, full-color, 24 pages. You may freely translate it to additional languages here. 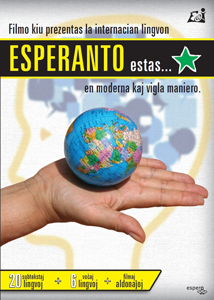 DVD video “Esperanto estas…” [“Esperanto is…”] – a modern informational film about Esperanto, dedicated to the non-Esperanto speaking public. The main goal is to present Esperanto as a living, modern, and fully functional international language with many facets. The film is 43 minutes long and has 6 parts, each of which presents a different aspect of Esperanto. In total, the film is dubbed into 10 languages and has subtitles available for 26! The DVD video has been published in two editions, divided by language (version A and B), and each published in a quantity of 2000 disks. More information can be found at www.esperantodvd.net. The films can also be watched here in online quality. 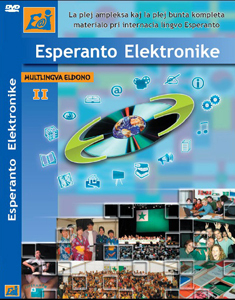 The DVD-ROM “Esperanto elektronike” [“Electronic Esperanto”] is the most comprehensive and diverse collection of materisl about the international language Esperanto. It is aimed at two publics: to Esperanto speakers, it gives an abundance of interesting Esperanto-related materials (books, articles, music…). For non-Esperanto speakers, it delivers information about Esperanto, courses, dictionaries… The fourth edition of this successful disc contains materials in 26 languages, new pictures, books, songs, magazines, projects (now available online at: www.esperantodvd.net). CD-ROM “Esperanto” – thanks to the collaboration between E@I and the city of Bialystok, on September 10th, the Polish daily newspaper “Gazeta Wyborcza” was published with a compact disk. This CD, which is simply titled “Esperanto” represents the largest press run yet of electronic media in Esperanto, with 400,000 copies printed. The disk is bilingual (in Polish and Esperanto) and aims to present Esperanto to the general public in a playful and fun format. Some pictures of the disk. 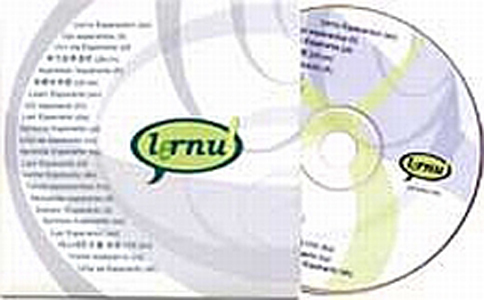 CD-ROM version of “lernu!” – an offline multilingual version of the lernu! website. The disk has two editions – in the years 2003 and 2005. Thanks to the collaboration between the lernu! team and French Esperanto speakers from JEFO, several thousand copies of the second edition were printed and sold for only 2 EUR. 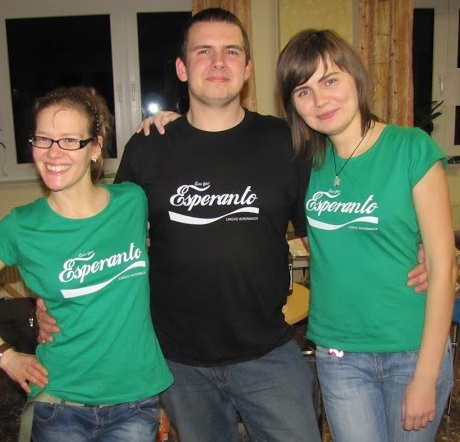 Popular T-shirt with a “Coca-Cola”-like logo and text: “Esperanto Internacia lingvo – Ĝuu ĝin!” (“Esperanto International language – Enjoy it!”). Available in three colors: black, green, red, both for men and women (sizes S-XL). „Mówisz po polsku?” If not, we have an e-learning platform for you!